MiG-29KVP Intermediate variant, built for development of takeoff from catapult and landing on a landing arrester system. Can be used as a combat aircraft, and also as a trainer for Naval airmen at land-based airfields. It is distinguished from its land-based counterpart by the hook and strenthened construction. MiG-29M Improved tactical fighter with Long-Range Control sysem and improved equipment. MiG-29SM Follow-on to the MiG-29SEh (aircraft similar to this modification were situated in Malaysia). Mods include: Increased bomb load (to 4 T.), in-flight refueling, RVV-AE missiles with active seekers, which increase the chance of winning in long-range combat by 6 to 7 times. These two modifications make it a match already or exceed the Eurofighter -- a next generation fighter. MiG-29SMT New export modification of MiG-29M. Unified (that is, eventually it will be installed on all Russian fighters) cockpit with 3 MFD (SIC), 900 kg lighter considering its imported elemental foundation. New radar (with automated terrain following). Supplemental [fuel] tanks. Bomb load (to 4 Tonnes) and range (up to 3,500 km) have been increased. MiG-29SEh Improved tactical fighter, equipped with in-flight refueling. Export modification. MiG-29UB Two-seat combat trainer variant. Produced in 1981. MiG-29UBT Two-seat modification for special strike missions. First flight 10.08.98. MiG-29 with variable-geometry nozzled engines -- Experimental aircraft, developed since 1988 on the basis of the MiG-29 for development of vectored thrust, which, it is possible, will find its application on the next-generation multirole fighter. The construction of the fifth generation fighter was already completed in 1991, but it was unable to fly because of a lack of a means to finish the engines. 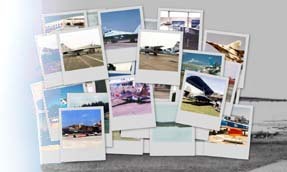 The information above is from the AviaPort site at http://www.aviaport.ru/directory/aviation/mig29/. It was translated/gisted by Roy Cochrun.